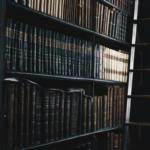 PDF versus eBooks: So You Want to Make an eBook? This post is part of So You Want to Make an eBook?. It’s a bonus bit that came up during my conversion of the text of The Crimson Pact, and really demonstrates the differences in mindset between eBooks and print. I’m releasing this book in sections on my blog, but when it’s all finished I will offer the whole thing as a single eBook. Everyone who donates toward its production (use the coffee cups to the right, note that it’s because of this effort) will get a free copy of this eBook. You can find all the posts here. I converted The Crimson Pact into a PDF to send out as review copies. While eReaders have gained a lot of market penetration, there’s no guarantee that a reviewer will have one, or what kind they’ll have. One astute person involved with the project noticed that the PDF wasn’t fully justified – an error which I fixed – but also noticed that the ePub wasn’t fully-justified either. As I wrote the explanation for that design, I realized that it was one of the better examples why I don’t really consider a PDF an “eBook”, even though it’s not a bit of paper. The PDF can be accurately full-justified because we control the page width and font size. PDF is a digital representation of a print book. That’s why you’ll see a lot of “big” publishers attempt to force full justification. It’s like when Mike Stackpole told some of us that he’d gotten frustrated with an editor who fretted about widow and orphan control with eBooks — while that’s a relevant concept for print, it is unneeded with digital formats. Those fully-justified eBooks are just another relic (and problem) created by trying to just take a print book and thwomp it into a digital format. When I make an ePub they are actually *not* specified as left-justification; I only specify justification for center and right justify. Otherwise it’s whatever the hardware/software specifies as a default. Not all readers support full justification 1 – or if they do, some do so badly; a well-illustrated example is here. This can not only lead to an ugly presentation, but can also create “rivers” of white space that makes things more difficult for those with dyslexia. So in my ePubs – and the ones I’m teaching you how to make – I don’t try to force full justification onto the reader. I let them go with whatever they’re comfortable with. Because the decision to left- or full- justify is left up to the reader (and their hardware), this gives both maximal user control and compatibility. 1 For what it’s worth – my primary eReader does not support full-justification; it’s simply ignored. And to tell you the truth, I only notice the difference when full-justification looks ugly. That is not ringing support for full-justification, y’know? 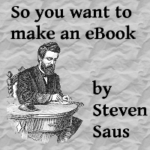 This post was part of So You Want to Make an eBook?. I’m releasing this book in sections on my blog, but when it’s all finished I will offer the whole thing as a single eBook. Everyone who donates toward its production (use the coffee cups to the right, note that it’s because of this effort) will get a free copy of this eBook. You can find all the posts here. 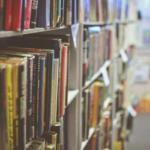 Real-Life Conversion Problems: So You Want to Make an eBook?